As a digital marketer, I’m constantly seeking ways to improve my own website’s organic traffic and that of my agency’s clients. If you’re the least bit familiar with SEO, then you must have heard that Google’s algorithm updates render techniques from five years ago completely obsolete. Algorithm update after algorithm update, Google tells us that keyword stuffing and poor quality content no longer work. Well, great content (as I’ve said it in most of my articles here) and LSI keywords. Let’s expand a bit on the latter. LSI stands for Latent Semantic Indexing. According to Search Engine Journal, LSI is “a mathematical method used to determine the relationship between terms and concepts in content”. Consequently, LSI keywords are those semantically related to your primary keyword. They matter to Google because they help make its search results more accurate by learning what people are truly looking for. To both Google and readers, they point to relevance. You shouldn’t, however, confuse LSI keywords with synonyms. Let’s look at an example. If you’re writing a blog post related to Windows 10, your post should also contain references to previous versions (Windows 7), the company that released the operating system (Microsoft), maybe even Bill Gates and the Office suite. Why? Because this comes naturally. Just like when I talk about LSI keywords, I mention Google, ranking, SEO, page indexing and so on. This helps Google differentiate your blog post from an article about replacement windows, for instance. And it helps them return relevant results to their users. How can LSI keywords boost your organic traffic? Google still crawls your page and uses your primary keyword to determine what topic said page is relevant for. But the algorithm has gotten smarter. If the primary keyword is not surrounded by something extremely relevant to your topic, your ranking will be affected. Your objective is to find the right balance between your primary keyword and LSI keywords in order to rank better. This way, you don’t need to repeat that same keyword ad-nauseam – a big no-no in today’s SEO. This protects your website from becoming spammy. If you perform keyword stuffing, you will be penalized by Google. You can now write naturally and both search engines and readers will appreciate your content. Following on the example above: if your article doesn’t contain words typically connected to the Windows operating system, someone looking to replace their windows may land on your page. Of course, they would immediately bounce. By using the right LSI keywords, you make sure that you stay relevant and only get organic visits from people who matter to your business. If you think about it, you basically have the same purpose as Google: offering relevant results to users helps both of your businesses. This is basic math: the more keywords your page ranks for, the more visits you will get. And the beauty of LSI keywords combined with your primary one is that they boost each other’s value. 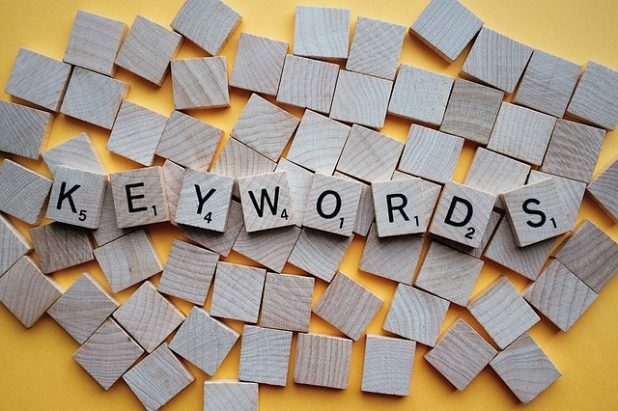 Using the right LSI keywords can help you beat your competition. It’s a puzzle game, but one that’s worth playing right. If you’ve ever had to manage a Google AdWords campaign for more than a month, then you know how hard it can be to come up with new ways to reduce your cost-per-click or improve your CTR. When your landing page has the right type of quality and super-relevant content, Google will boost your quality score. The result? You will rank higher and your ads will be cheaper. Offer your readers a smooth, seamless text that doesn’t seem forced in any way and they will keep on reading it. Throw keyword-stuffed articles with little informative value their way and they’ll leave within seconds. Unfortunately, it’s not as easy as writing naturally. Sure, when you write about Windows 10, you will mention Windows 7. But that may not be enough. Luckily, there are tools to help you with your LSI keyword planning. That’s right, the plain old (FREE!) search. Just type in your primary keyword and see what else Google suggests for you (the autosuggest feature). This way, you know right off the bat what other terms Google considers relevant. Also a free tool, this is where you should start your basic LSI keyword search. However, I only recommend it in combination with other tools. You have to remember that this is the tool you typically use to create ads. Paid ads. Google will recommend some keywords that may not help you rank, but would help them make a profit from your ads. Since you are not planning to create ads, but use this tool to create a high-ranking page, compare the results with those from other tools. This is one of the tools I use quite frequently. It’s free and you can also download their WordPress plugin. You will get plenty of results to fuel your content strategy. Pardon my French! But I guess you’ll forgive when you take a look at this tool. Not only can you find LSI keywords with it, but you can also get some awesome long-tail keywords ideas. Bonus, you can download them. If you want to get serious about your SEO and beating the competition, SEMrush is the way to go. This is a paid tool, but it will give you a lot of insight into your competitors’ keywords, as well as their backlinks – basically, all you need to beat them. The next time you hire SEO copywriters, make sure to ask them about their LSI strategy. If they shrug it off and say repeating the same keyword over and over again is the way to go, look elsewhere. They will never help you boost your organic traffic.